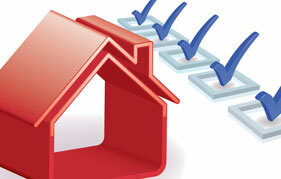 Home inspections are an essential element to the process of buying a home. 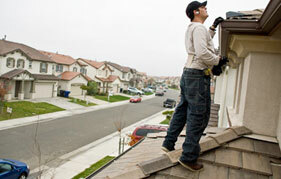 With a home inspection, you can learn all the flaws, concerns, as well as the enhancements and pluses about the house. With the many advantages that come with a home inspection, they are definitely well worth the investment. Today, we at JMark Inspections would like to offer some information for the buyers and the basics of a home inspection service. Many people believe that as a first time home buyer, home inspections come together with the purchase package. The buyer is responsible for hiring the inspector independently, sets the inspection timeline, as well as the costs. It is best to plan early as the home inspection can be fairly overwhelming. –	The condition of structural components including walls, floors, ceilings, and so on. –	The state of doors, windows, and vents. –	The basement and the foundation. –	Heating ventilation, and cooling systems. Though most expect detailed coverage from their home inspector, not all access the roof, septic tanks or any detached buildings. Before you a hire the home inspector, you should ask them what all they cover during their inspection. Should Buyer Be Present During Home Inspection? Some recommend attending the inspection, where other professionals do better without someone looking over their shoulder. There are pros and cons to both options. Asking your inspector their preference is recommended. Attending the inspection can give you a firsthand experience with the specifics as well as guide you through the process and you can ask any advice on maintenance tips for particular features. Any issues found and or repairs that need to be done can be discussed with the realtor. 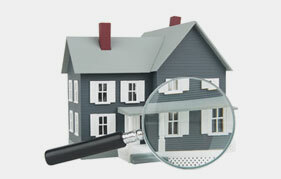 Keep in mind the inspector does not hold any responsibility for any defects or repairs of the property. When you have to point out issues with the property, the inspection report acts as a point of reference. Additionally, before purchase, the report serves as a draft showing the condition of the house. The real estate agent can often provide a copy of the report and you should store it with other property documents. When you review the report, you should feel welcome to ask any questions concerning it. Before you get your home inspection, these are just a few of the basics you should know. There are many factors to consider and paperwork that is completed when looking to buy a house and the process can be challenging. Because we know of the stress that is associated with buying a home, we make our home inspection as hassle-free as possible. Call JMark Inspections today to schedule your home inspection and let us perform your inspection before you buy.